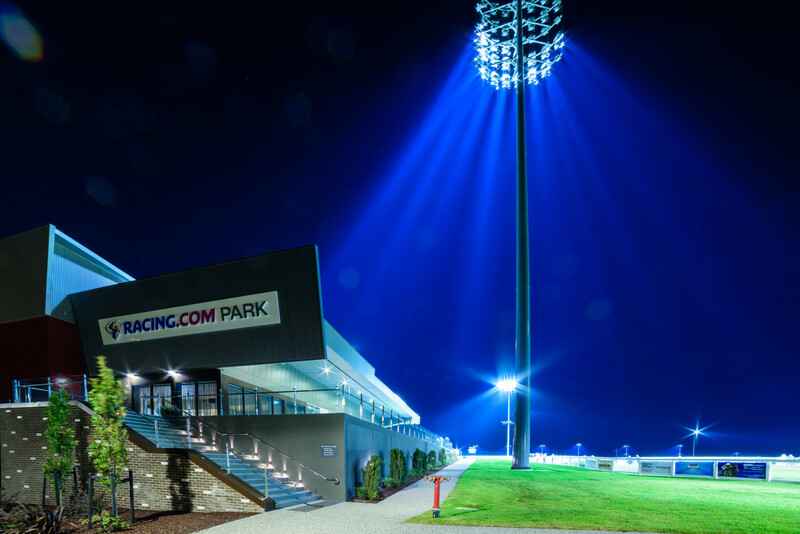 Gordon McKay are proud to have recently completed the Pakenham Racecourse floodlighting project for the Pakenham Racing Club and Racing Victoria. This will be the third night racing venue in Victoria and the second that our company has been involved in. 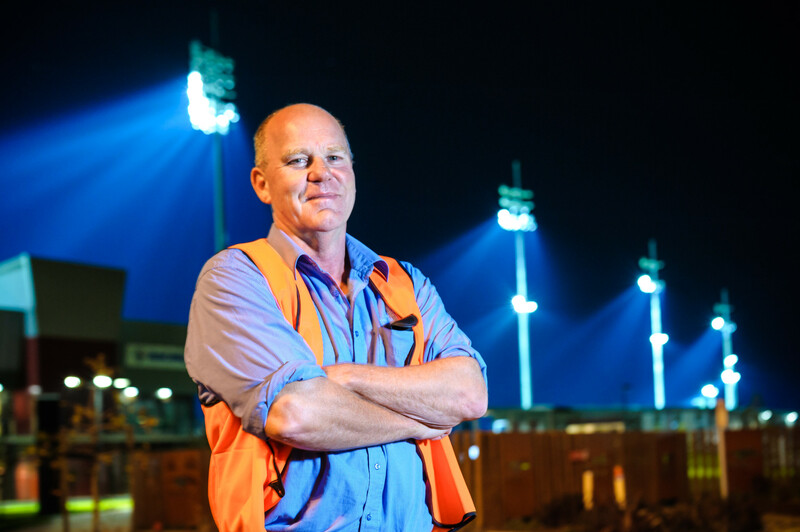 This Project has provided the Pakenham Racing Club with floodlighting and associated electrical infrastructure which will allow for the safe and spectacular undertaking of night thoroughbred racing on both the Turf and Synthetic tracks. 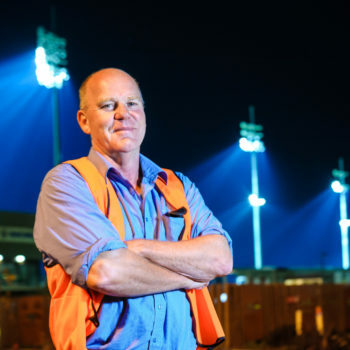 As well as providing an enhanced viewing experience for patrons at the venue and offering flexibility of operating hours to the industry, the club will have broadcast quality lighting for television coverage. The two existing tracks are now illuminated from 56 – steel lighting masts ranging in height from 12 meters to 40 meters tall (approx. 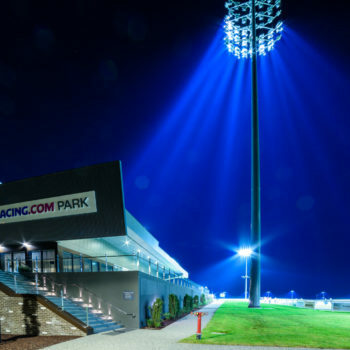 85 tonnes total of steel) that have been erected within the infield and around the course proper supporting 1190 2 kw flood lights equal to 2.38 megawatts of lighting to light the two race tracks alternately. The lighting project included 4 kilometers of trenching and 150,000 meters of electrical cabling. We would like to thank Pakenham Racing Club, Racing Victoria and the Victorian State Government for the opportunity to undertake and deliver this Project.